Windmills Florist of Woodbridge opened in 2003. With a close knit team of College trained and experienced florists, we provide the very best quality flowers for Woodbridge and surrounding area. I have many years experience in floristry and originally opened Windmills Florist in 2003. We source the freshest flowers locally and from the Netherlands into our air conditioned shop. 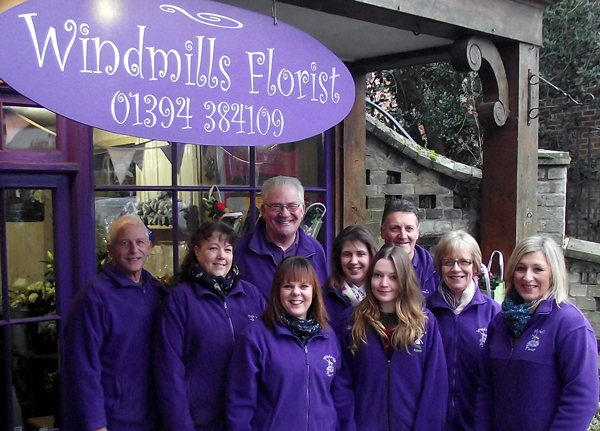 Windmills Florist provide flowers, arrangements and a range of gifts for all occasions including a local delivery service within a 10 mile radius. You can order flowers directly from us on 01394 384109 or by using our online service. Your Flowers – Our Passion!